Five Spring Essentials to Embrace the Warmer Weather! Hello all! This week we wanted to share our spring essentials for warm weather with you guys! Since the Ohio weather likes to trick us into thinking it is FINALLY going to stay warm, we are deceived once again, so these pictures have been taken inside in hopes that the warm weather will reappear soon! SCRUNCHIES! As a personal favorite of mine, scrunchies are the perfect way to pull the hair from out of your face in a cute and fashionable way. 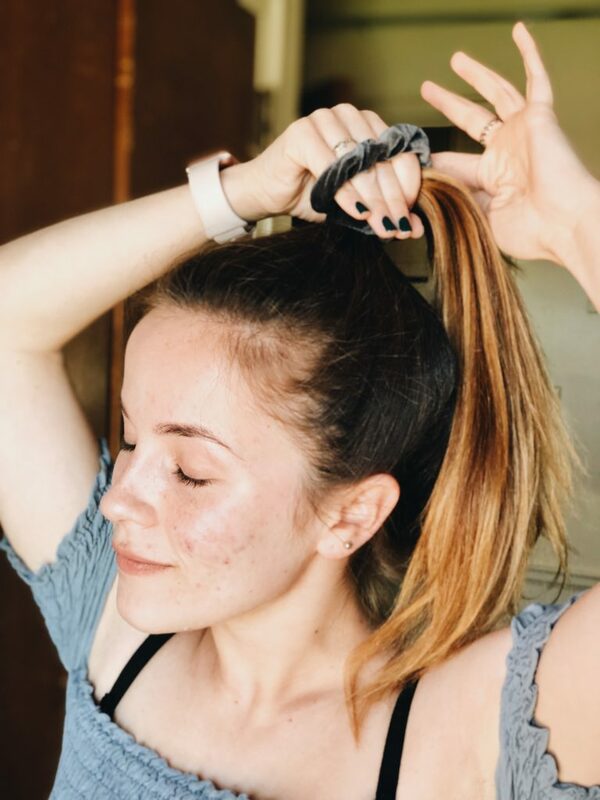 The scrunchies that you see pictured are from Francesca’s sold in a pack of four for a cheap price; or if you are feeling creative, you can easily DIY them as well! Sunglasses: In order to avoid the pesky sun in your eyes, sunglasses are the perfect accessory to any outfit! 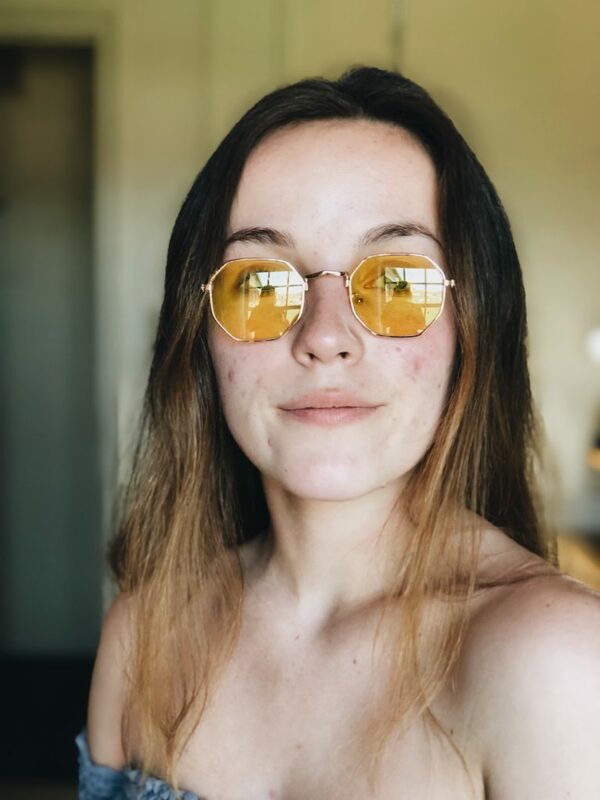 The sunglasses that are pictured can be found at Urban Outfitters, but for a good bargain they can be also found at Target. Rain Jacket: April showers are for real y’all. In order to compliment a stylish outfit as well as to stay dry, a bold rain coat can do exactly that. 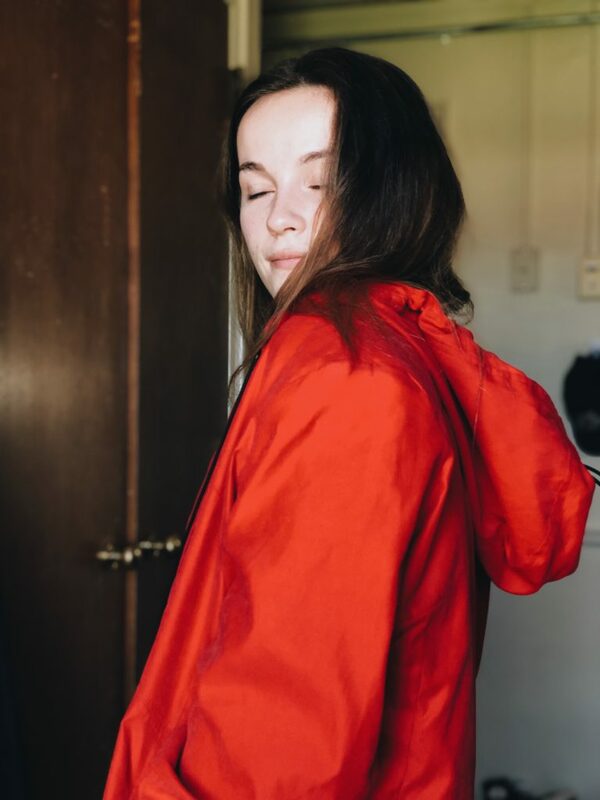 The red rain coat pictured is a rare find that Emma found at a thrift shop, which includes large pockets, a hood, and vintage patterns on the inside of the jacket. 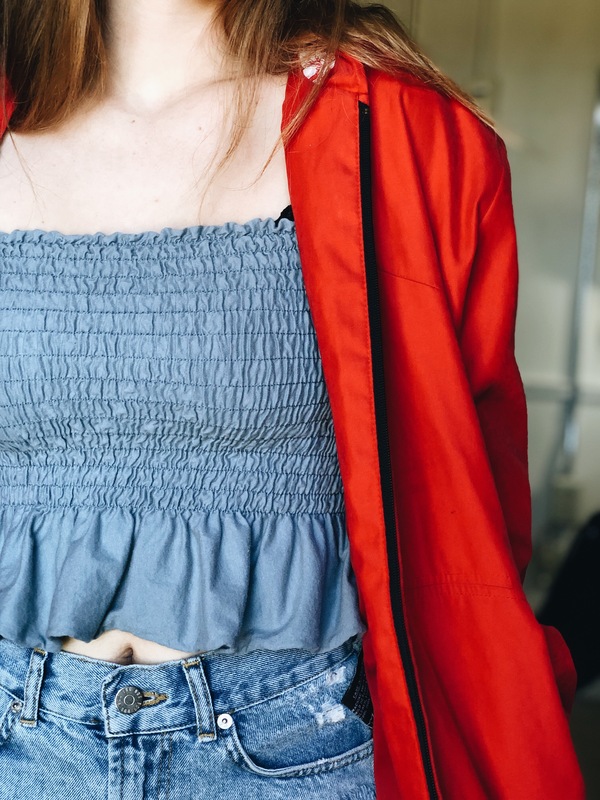 Cropped tank tops: Also a staple item for yours truly, cropped tanks pair perfectly with a cute pair of high-waisted jean shorts to create the perfect spring time look! They are also iconic for layering, especially for when it is chilly in the morning and you need an extra layer like a cardigan! 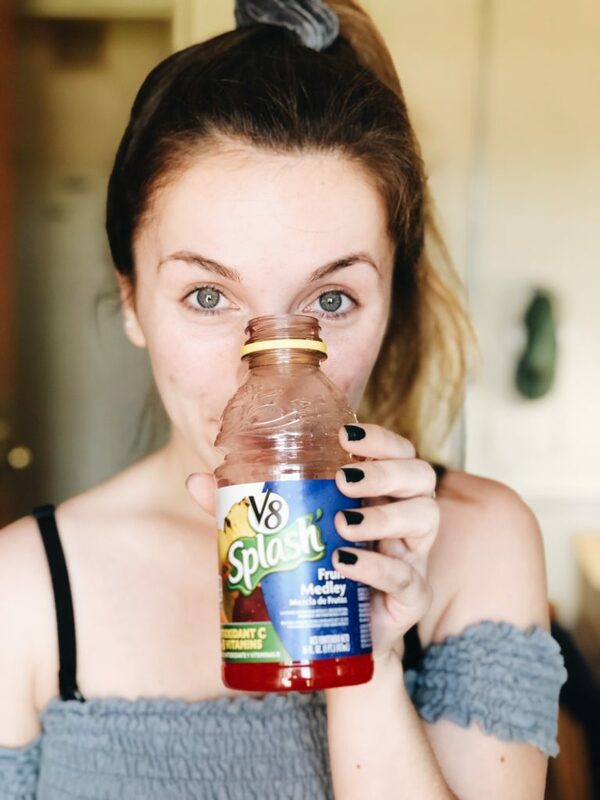 V8 Fruit Juice: As an essential source of vitamins, V8 Fruit Juice has a rich, fruity taste that gives you all the spring time vibes that you could dream for!